Tip for guests & residents! fresh from the market ingredients at fair prices. Sunday - Friday from 11:30 a.m. - 2:00 p.m.
You can find the current menus further down. 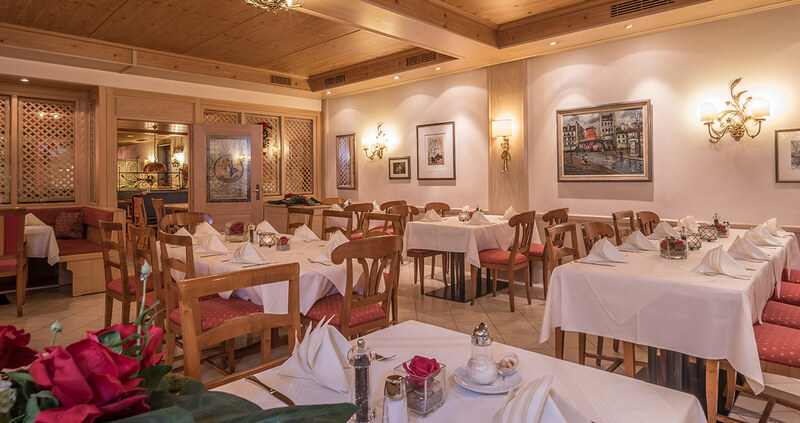 You are well catered for in both our Kaminstube restaurant and the bistro. Quality is the basis for our culinary dishes. 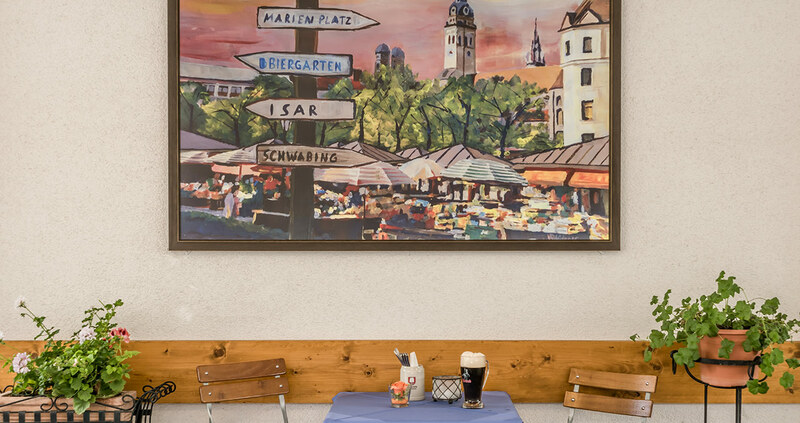 We offer you regional and international dishes every day. From 6:30 to 10:00 a.m. we serve you our rich and variety-packed breakfast buffet in our bistro. From warm dishes to fruit salad, croissants, yoghurt and a nut station, your dream breakfasts come true here. 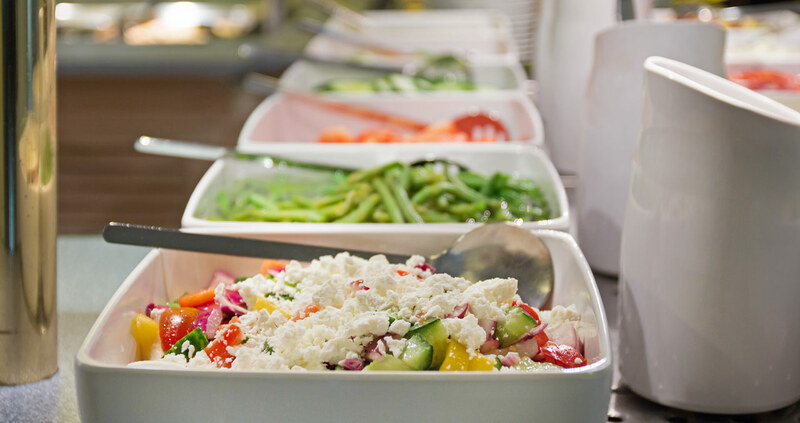 We invite you to our lunch buffet from 11:30 a.m. to 2:00 p.m. including a lavish salad buffet, soup of the day, main courses that change every day with side dishes and a dessert. You can find the week menu below. 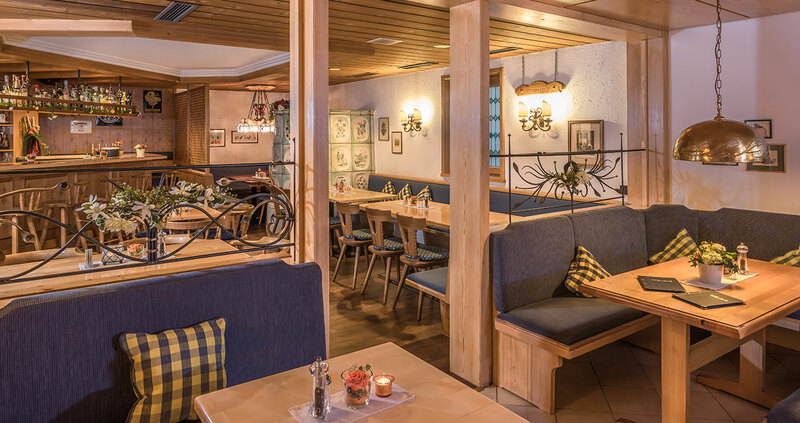 We offer you a combination of a stylish restaurant, cosy wine tavern and rustic bar. Cooking is done with high standards of freshness, quality and regionality. Variety in the selection of products and compositions is guaranteed. 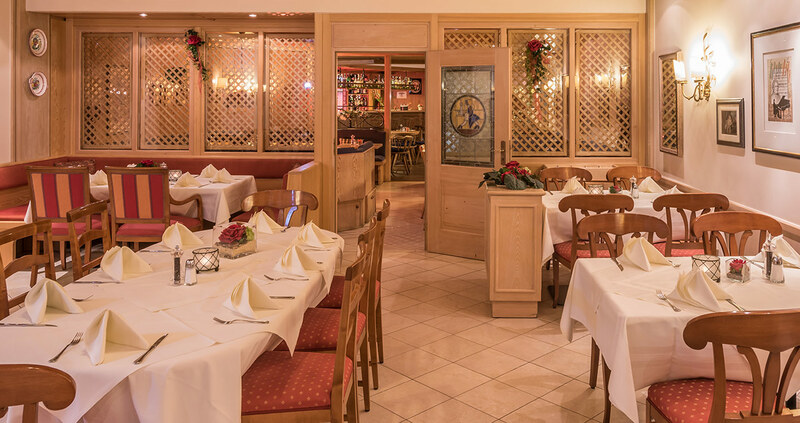 Our Kaminstube’s pleasant, smart atmosphere is the ideal setting for a business meal, company and family celebration, cosy evening with friends or a romantic candlelit dinner for two. 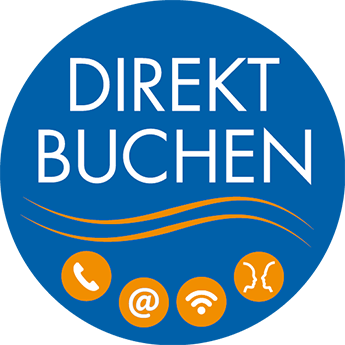 Together with our team, we are pleased to spoil you. 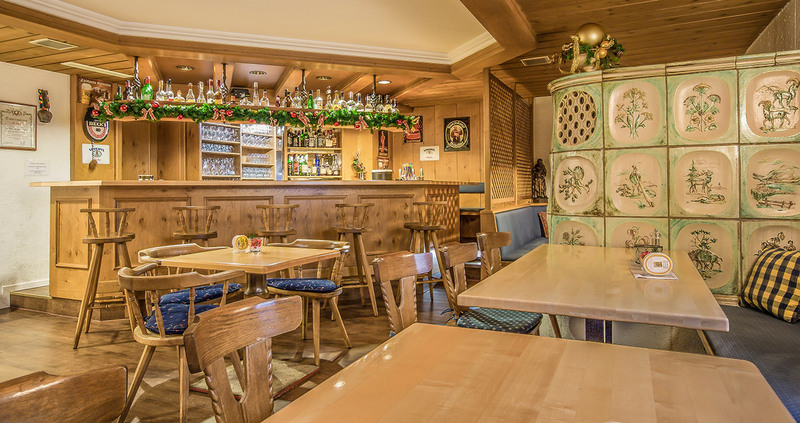 Enjoy national and international specialities and local Bavarian dishes every day (except Christmas Eve) and feel at home in our cosy, rustic Kaminstube. 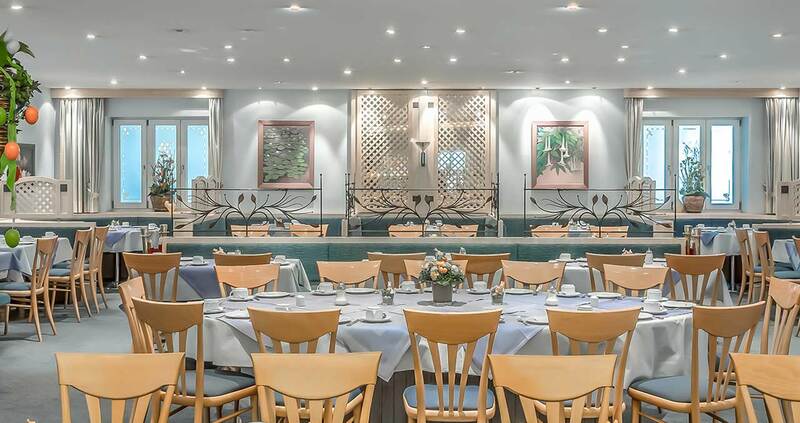 Our extensive cocktail menu, a balanced range of wines and beers as well as spirits invite you to indulge in an after work drink as well as a digestif after your meal. As soon as the sun shines we open our terrace for you. 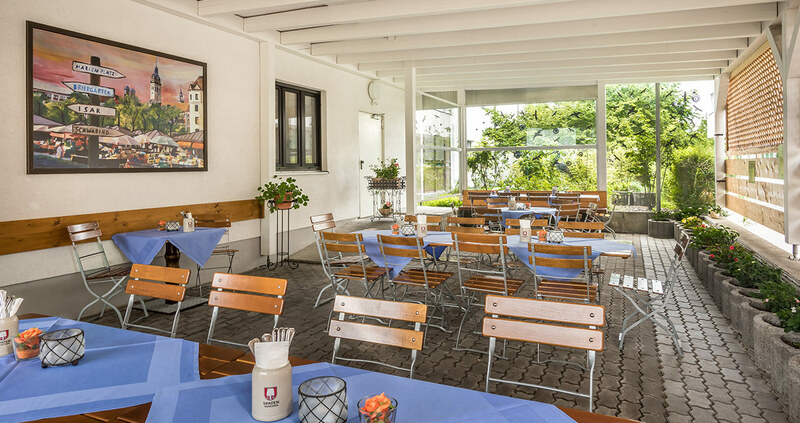 Enjoy your lunch or dinner on our beautifully designed terrace in good weather. Is there anything more beautiful than rounding off the day outdoors in comfort on the terrace.